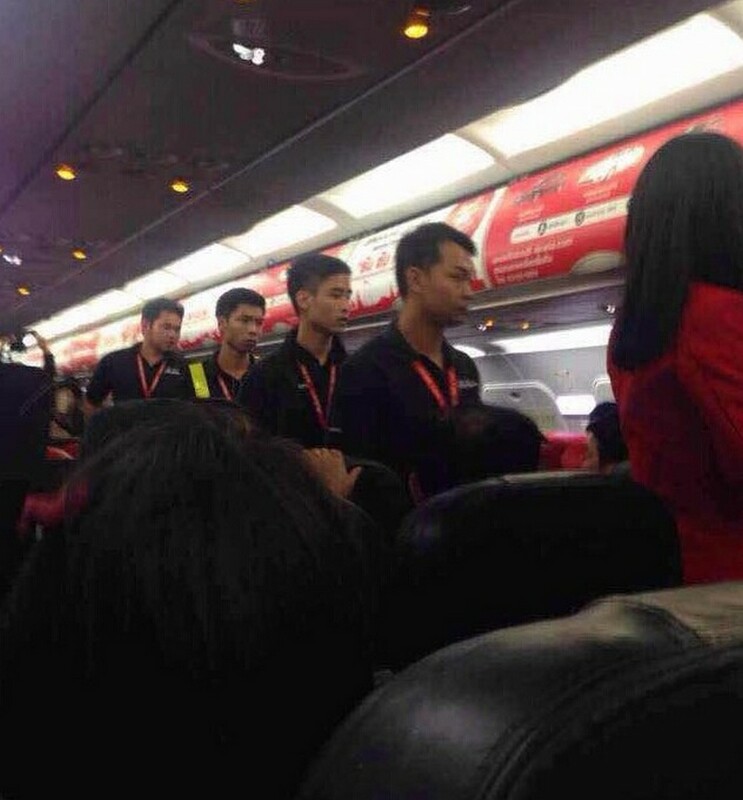 PETALING JAYA - The pilot of a chartered Thai AirAsia flight from Bangkok to Nanjing, China, decided to return to Bangkok after an agitated passenger started uttering threats to bring down the plane. The captain made the decision after the passenger's female companion, believed to be his girlfriend, had earlier splashed hot water on a flight attendant. The couple were among passengers in a tour group, who were initially not happy at not being able to sit next to each other on the flight that took off at 5.55pm on Thursday from Bangkok's Don Mueang Airport. Assisted by flight attendants, other passengers made way so the duo could be seated together. However, an argument soon broke out between the couple. "During the flight, the passenger exhibited dissatisfaction with a member of the cabin crew by using hot water to scald her, inju­ring the attendant. 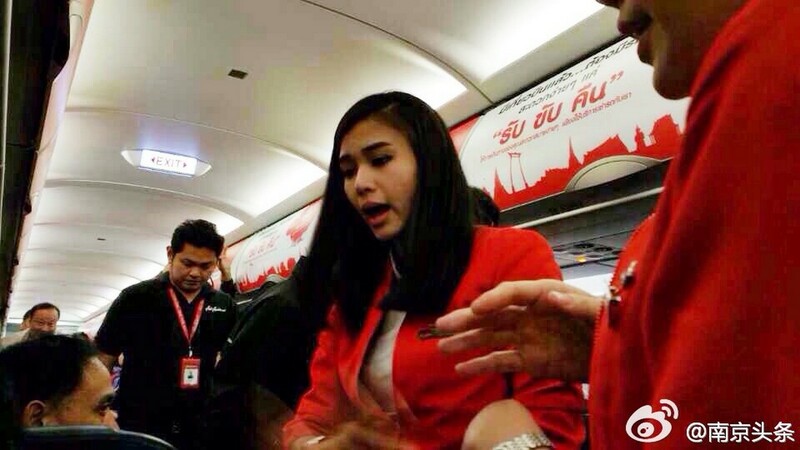 "The captain decided to return the plane to Don Mueang Airport, deeming her actions as endangering other passengers and impe­ding in-flight service," AirAsia said in a statement. The hot water was believed to be the broth inside a cup noodle container. 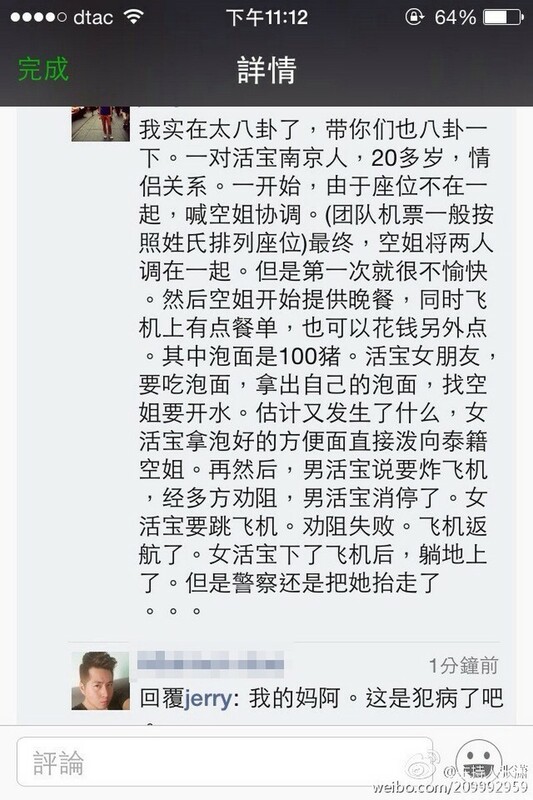 In a video posted on the Internet by China National Radio, the man was seen standing up in the cabin uttering threats. The crew administered first aid to their colleague, who was seen in pictures covering her face with her hands. After the plane landed, the couple and two others from her group were forced to disembark. 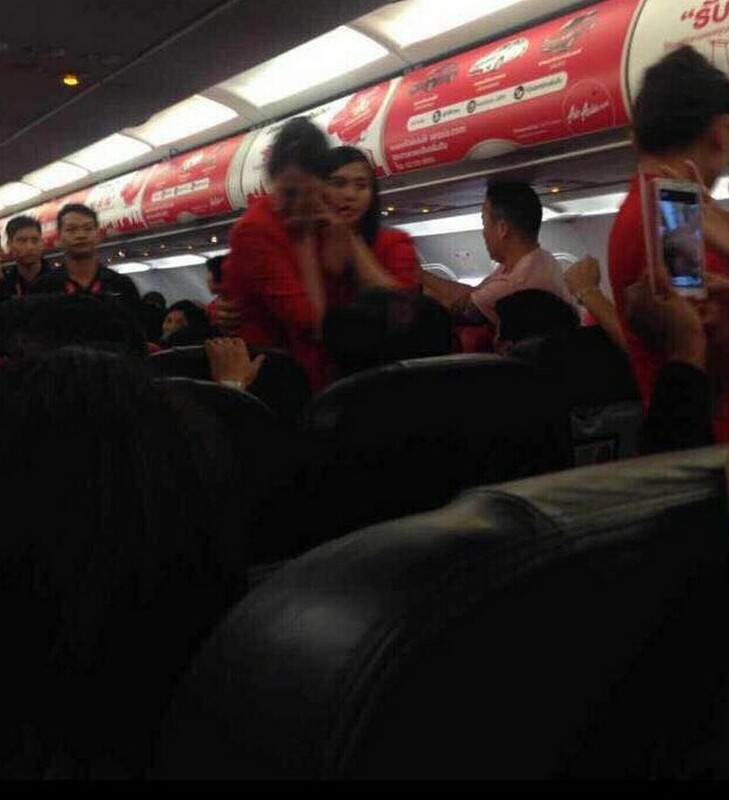 "The passenger, captain and cabin crew discussed the situation at the airport police station, where the four Chinese passengers were fined for their action by the airport police," added AirAsia. 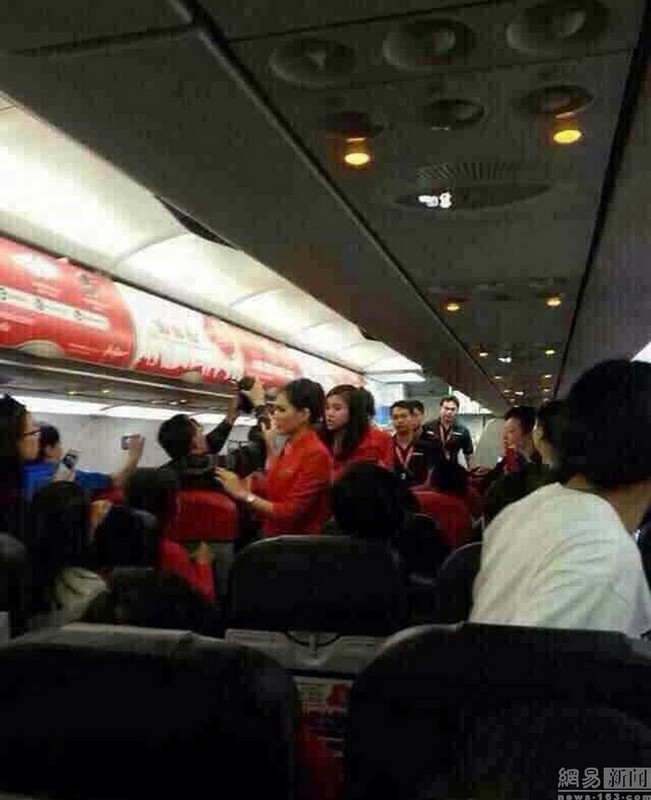 The flight took off again about five hours later with 170 passengers, minus the four. It arrived safely in Nanjing at 4.10am on Friday. 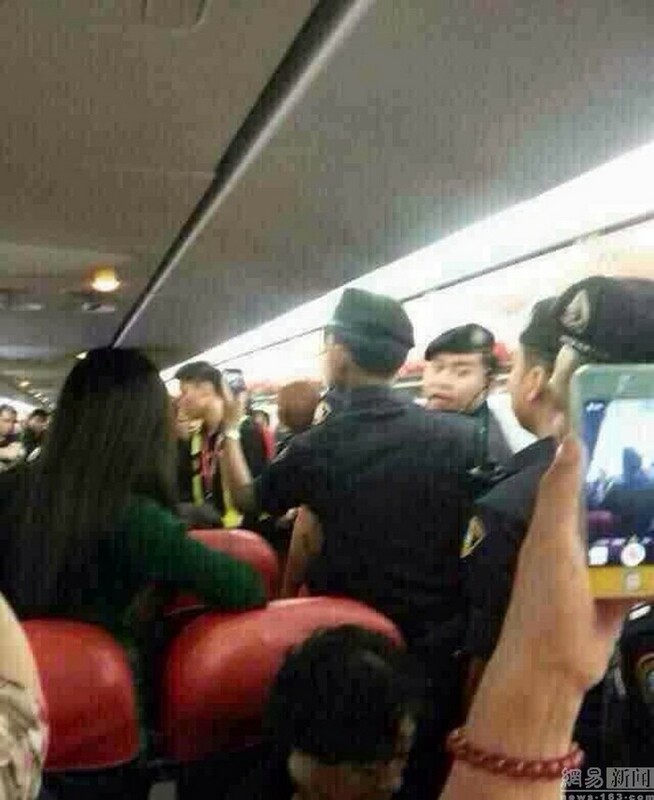 It was understood that the four ejected passengers returned to China on another flight. Incidents involving crude or socially unacceptable behaviour by Chinese tourists have prompted Beijing to issue a 64-page guideline last year on how to behave while abroad. 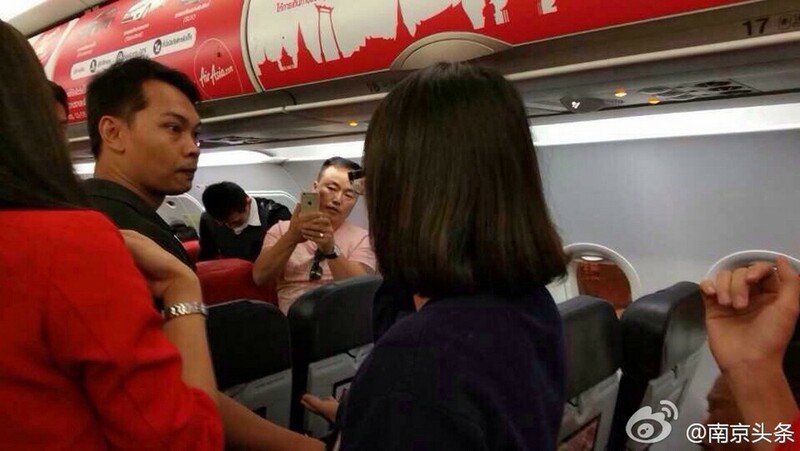 A low-cost flight carrying passengers from Thailand to China was forced to return to Bangkok after a Chinese passenger threw hot water at a cabin attendant. 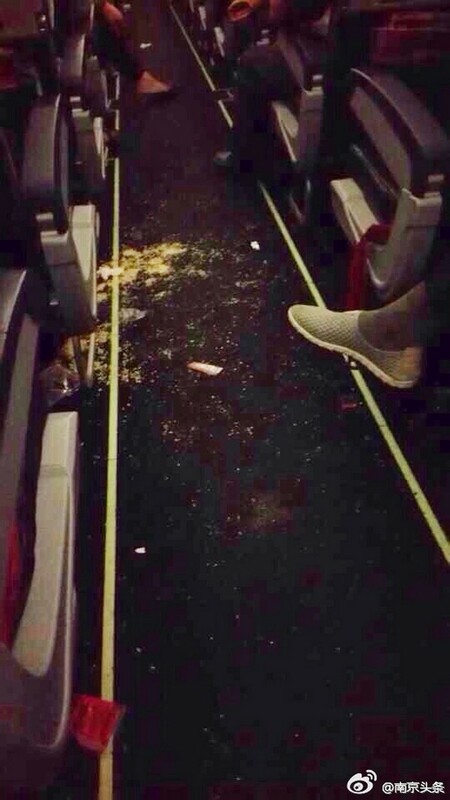 "During the flight a Chinese female passenger was not satisfied with the service and when the cabin attendant came she threw hot water at the cabin attendant," the airline said in statement. An official said the woman and her travelling companion were initially angered at not being seated together. Other passengers moved seats allowing them to sit side by side but the pair started to argue with each other before the attack took place. 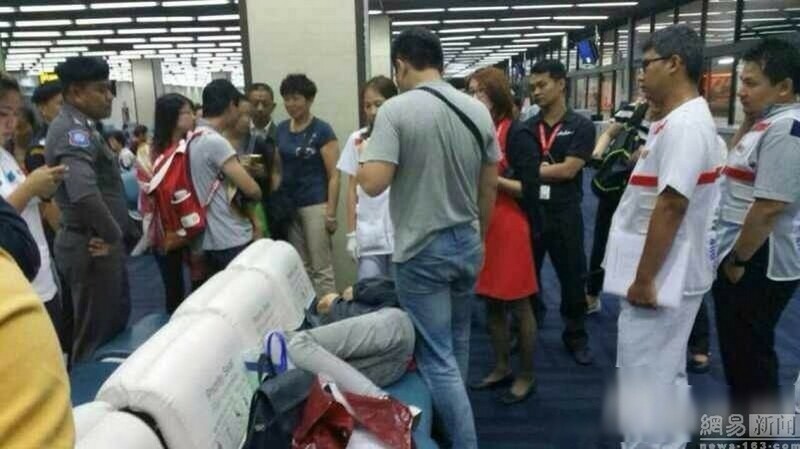 The captain of the flight, which was still in Thai airspace at the time, decided to return to Don Mueang where four Chinese passengers were ejected and detained at a police station. 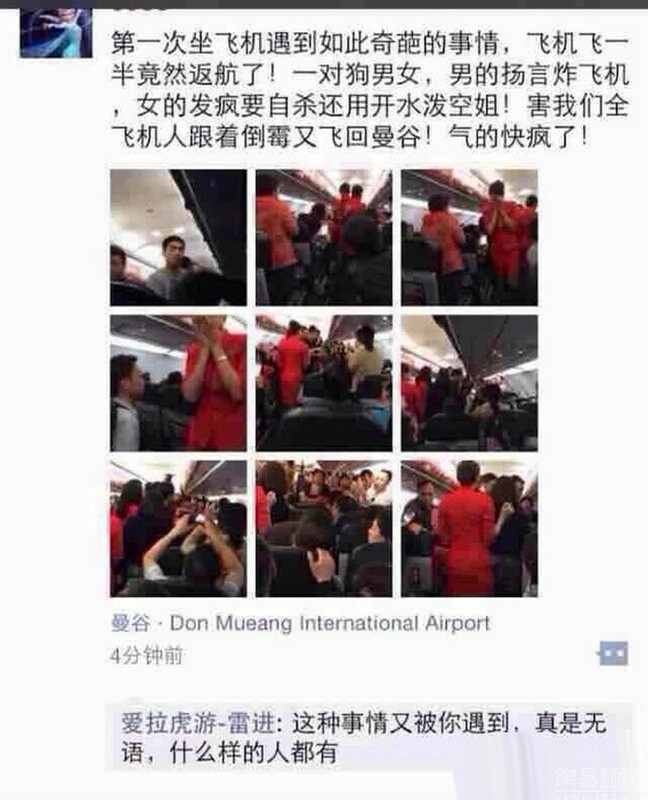 The airline official said police fined the Chinese passengers, adding that they left the country on Friday. The cabin attendant received first aid on board from colleagues and was now fine, the official added. China has seen rapid growth in outbound trips in recent years, and Chinese travellers are now the biggest source of international tourism cash in the world, according to a the United Nations World Tourism Organisation. 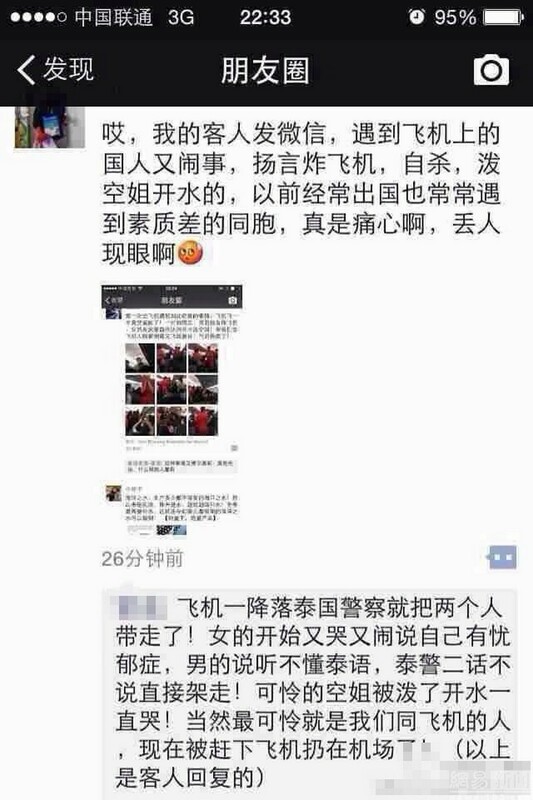 But the behaviour of some Chinese tourists overseas has caused embarrassment at home. 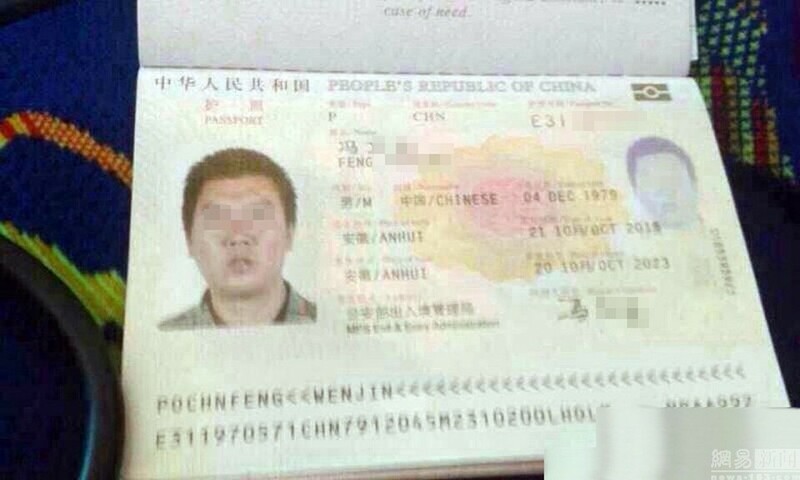 In May 2013 a Chinese tourist was tracked down by furious netizens after it emerged he had defaced an ancient Egyptian monument. The same month a top Chinese official said the dire manners and "uncivilised behaviour" of some Chinese tourists overseas were harming the country's image.